The Disney Channel has ordered a third season of the Emmy Award-nominated animated “Big Hero 6 The Series” ahead of the season two premiere, which is due to air on Monday May 6th (3:30-4:00 p.m. EDT/PDT) on Disney Channel. New episodes will continue to roll out weekdays through May 17th. Episodes will also be available the same day on DisneyNOW. And we should expect the new series to be available on Disney+, when it launches later this year. Season two guest voice cast includes Nestor Carbonell (“Bates Motel”) as Chief Cruz, San Fransokyo’s new police chief; Isabella Gomez (“One Day at a Time”) as Hiro’s new friend Megan; Ben Feldman (“Superstore”) as Chris, Liv Amara’s assistant; Will Friedle (Disney’s animated “Kim Possible”) as Ian, Krei’s geeky scientist; Jane Lynch (“Glee”) and Timothy Simons (“Veep”) as Supersonic Sue and Supersonic Stu, a grandmother/grandson super villain duo; Jessica Paré (“SEAL Team”) as acrobatic thief Sirque; and Horatio Sanz (“Saturday Night Live”) as El Fuego, a Mexican wrestler. Based on the Walt Disney Animation Studios’ Academy Award-winning feature film, “Big Hero 6 The Series” continues the adventures and friendship of 14-year-old tech genius Hiro, his compassionate, cutting-edge robot Baymax and their friends Wasabi, Honey Lemon, Go Go and Fred as they form the legendary superhero team Big Hero 6 and embark on high-tech adventures as they protect their city from an array of scientifically enhanced villains. In his normal day-to-day life, Hiro faces daunting academic challenges and social trials as the new prodigy at San Fransokyo Institute of Technology. Season two finds Hiro and the Big Hero 6 team in upgraded super suits as they take on a variety of innovative villains, bio-engineered monsters and high-tech robots. A trio of shorts, illustrated in a watercolor style and featuring Baymax and Mochi, will begin to roll out on Tuesday, May 7th across Disney Channel, DisneyNOW and Disney Channel YouTube. 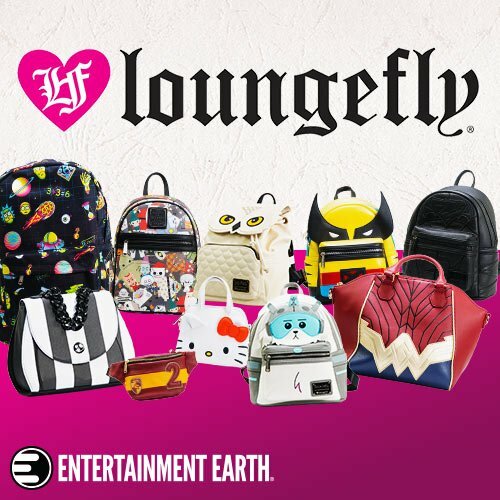 Additional extensions for the series include toys, books, apparel, collectibles, plush and home décor from Disney Parks, Experiences & Consumer Products. The series voice cast includes Maya Rudolph as Aunt Cass, Ryan Potter as Hiro, Scott Adsit as Baymax, Jamie Chung as Go Go, Alan Tudyk as Alistair Krei, Khary Payton as Wasabi, Genesis Rodriguez as Honey Lemon, Brooks Wheelan as Fred, David Shaughnessy as Heathcliff and Marvel Comics legend Stan Lee as Fred’s dad. Returning this season are Emmy Award nominees Christy Carlson Romano and Andy Richter as Trina and Globby, respectively; Jenifer Lewis as Professor Granville; Haley Tju as Karmi; and Mara Wilson as Liv Amara. Mark McCorkle, Bob Schooley and Nick Filippi, the team behind the Emmy Award-winning global hit Disney Channel series “Kim Possible,” serve as executive producers. Filippi also serves as supervising director. The series is a production of Disney Television Animation and carries a TVY7-FV parental guideline. 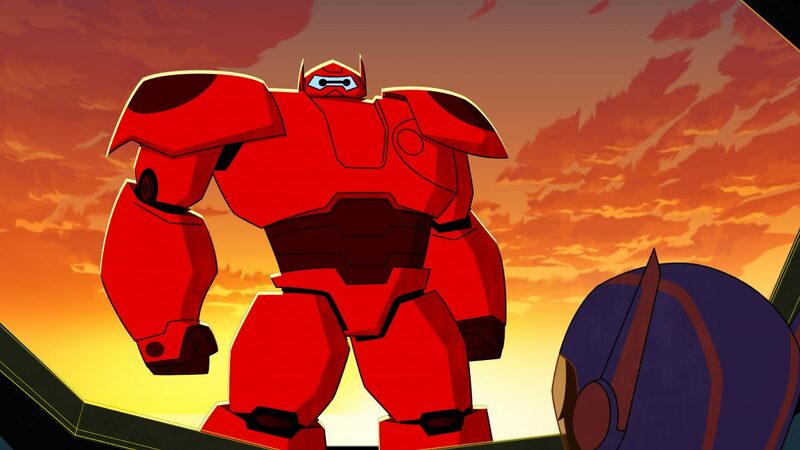 Are you excited for a third series of Big Hero 6? « What Walt Disney Studios Live Action Movies Will Be Coming To Disney+ ?